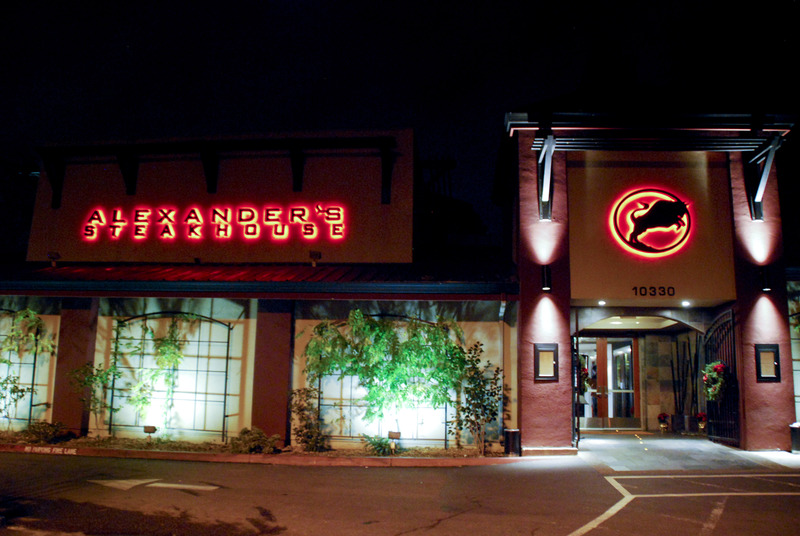 Alexander’s Steakhouse is a fine dining restaurant that pairs the tradition of American steaks with Japanese influence throughout the menu. Tim took me to the Cupertino location, which is nearby a shopping mall. 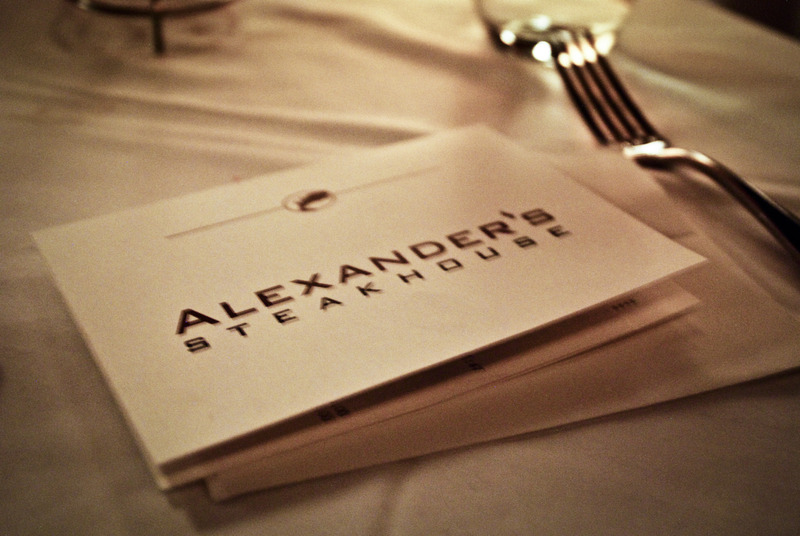 Besides the amazing food, the service was outstanding. The servers are all very friendly and helpful. 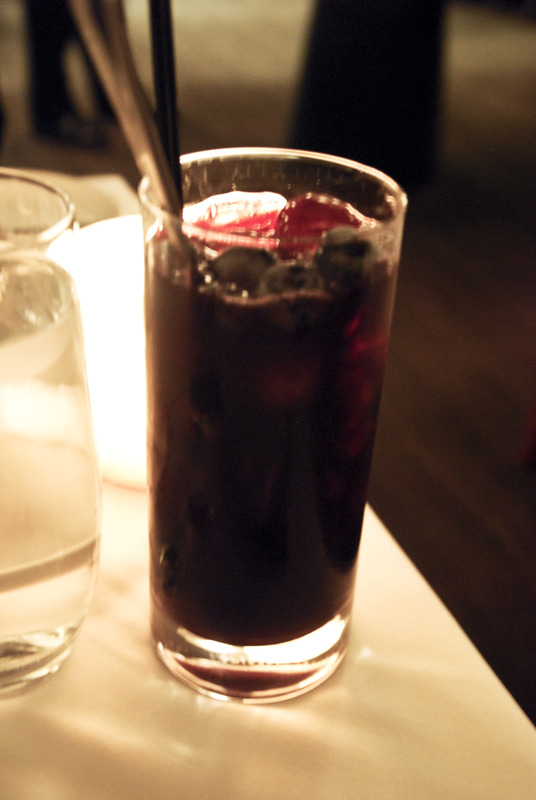 Even though we had one designated server for our table, it felt like we had five other people waiting on us. 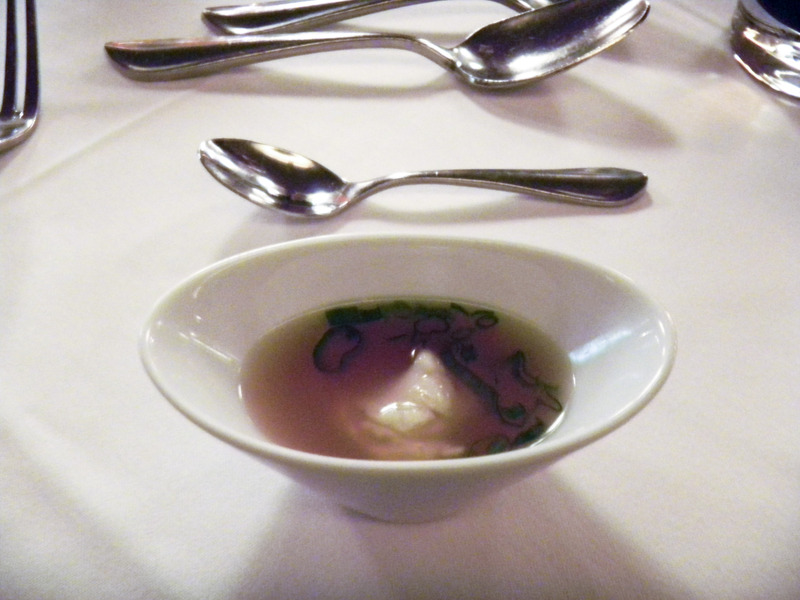 I had a great time for my first visit and cannot wait to come back again to try some new things on the menu! 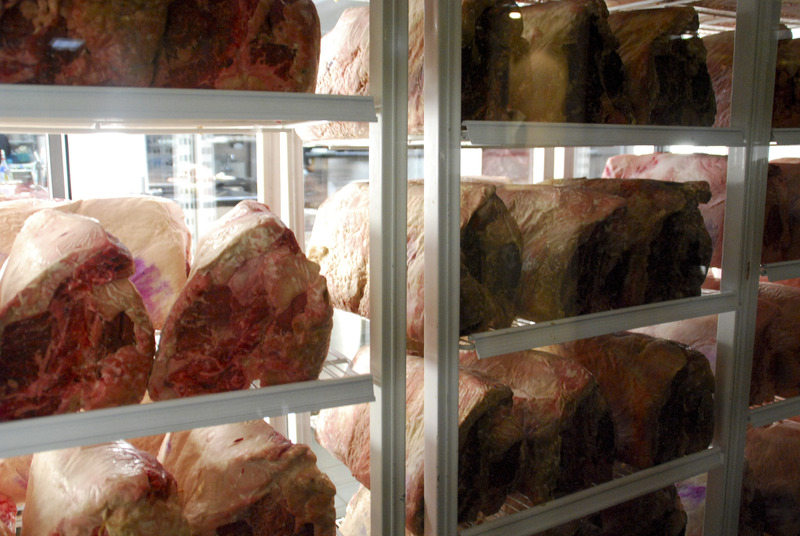 When you first walk in the restaurant you will find a huge display of meat through a glass window, as well as an open kitchen to your left. The restaurant seating area is very large with warm, rich colors and elegant decor. 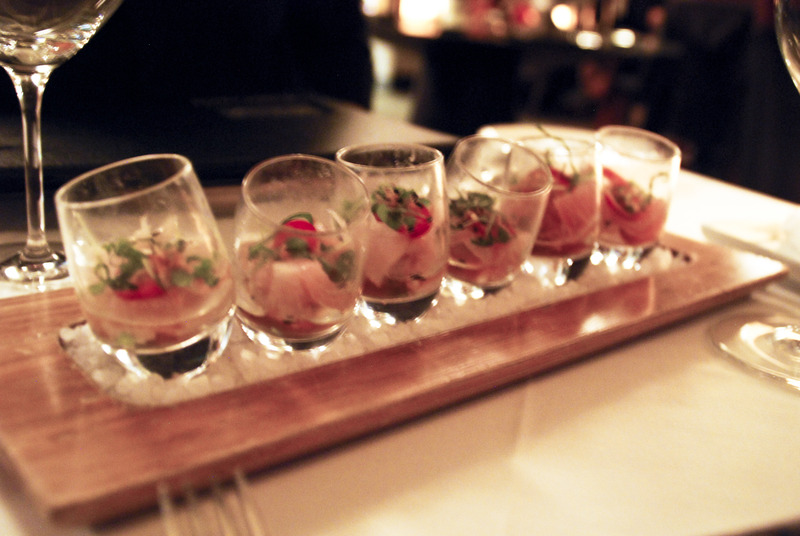 Six shot glasses filled with hamachi with truffled ponzu sauce, chili, avocado, frizzled ginger and cilantro greens. Tim order this 24 oz. 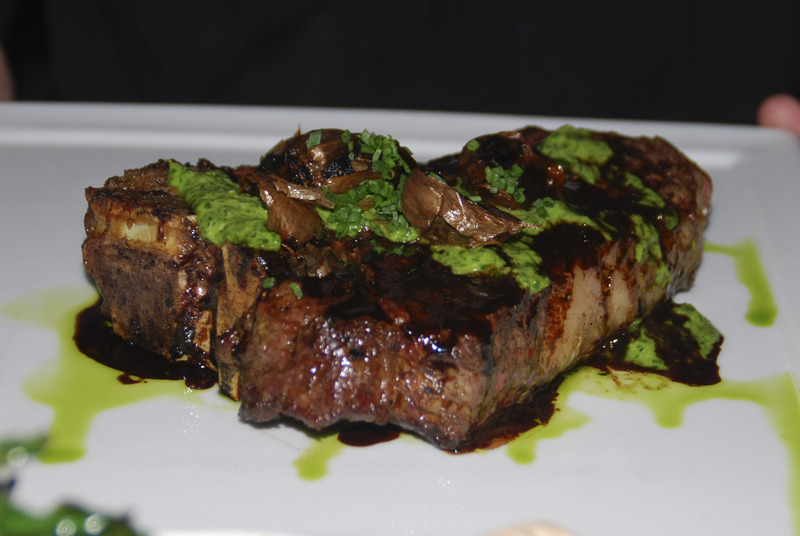 cut, cooked medium-rare, served with pesto sauce and garlic. This sauce was actually meant for the porterhouse steak but our server told us we could mix and match steaks with sauces of our choosing. Extra points! 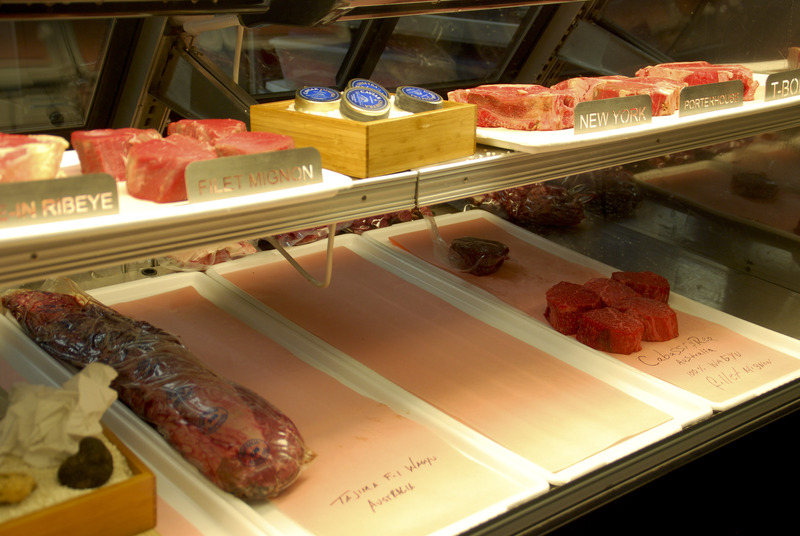 Flavor was unlike anything I’d expect for steak and loved it. 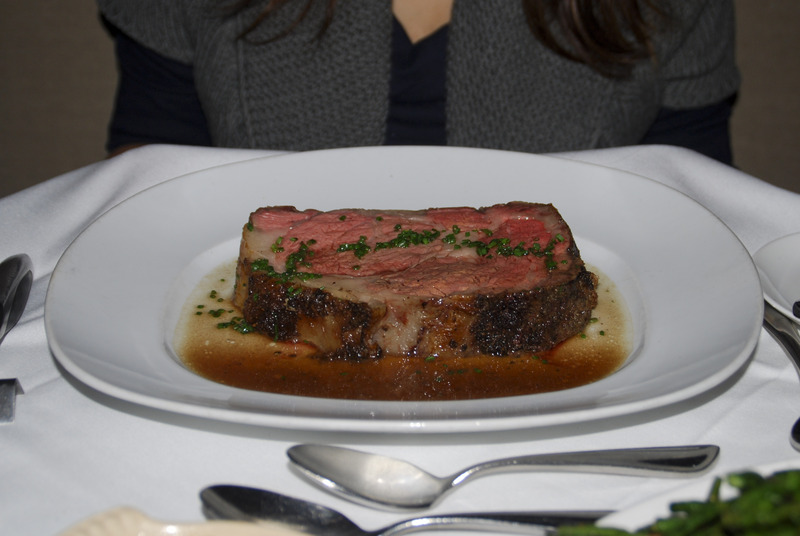 Excellent melt-in-your-mouth 14 oz cut with natural jus and creamed horseradish. Mac ‘n Cheese with white truffle oil. I think I was more excited about this dish than any other dish I had. The best mac ‘n cheese I have ever had. 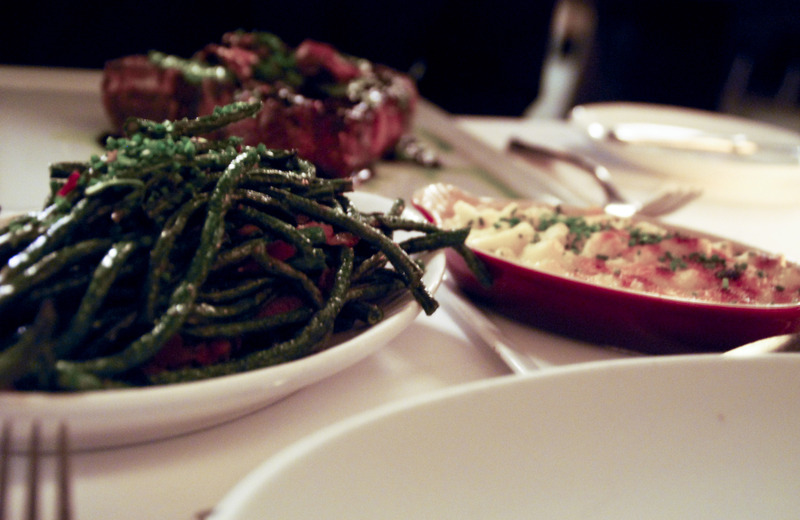 Second side dish we had was flash fried green beans with smoked bacon and soja. Both Tim and I thought the beans were okay, but nothing special. I think they may have been slightly overcooked. 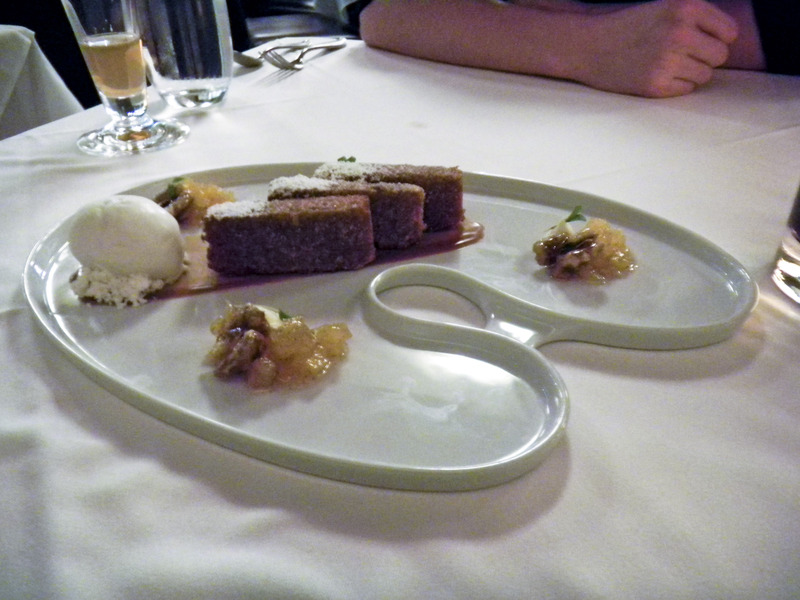 Golden Buddha – tempura carrot cake, candied walnuts, & coconut ice cream. Beautiful presentation and wonderful idea of deep frying. Yum! 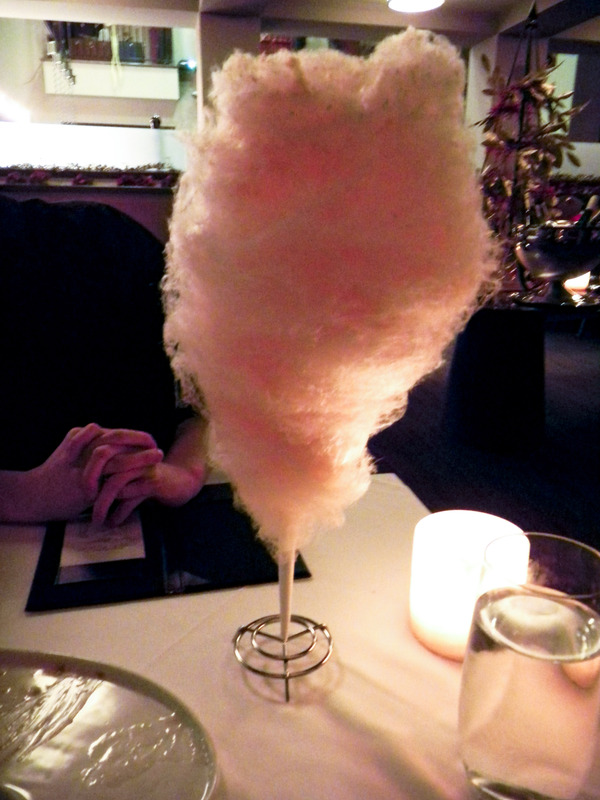 Bubble-gum flavored cotton candy. Fun-filled fluffy goodness, and free for all guests!